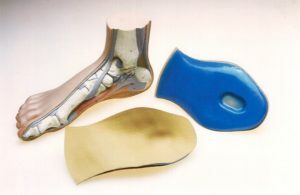 Why the U.S. Navy uses our Ultimate Heel and Arch Support! 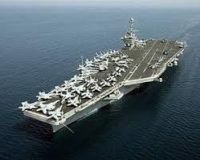 Try to imagine working on the steel deck of a U.S. Aircraft Carrier! Long hours, extreme weather conditions and severe heel pain. This is not an ideal situation for our men and women who step into harms way to defend our freedom. This is why the U.S. Navy uses our Ultimate Heel and Arch Support! Footworks and its employees are so very proud that the U.S. Navy has chosen us to help these soldiers with our foot care products. When we asked why the U.S. Navy uses our Ultimate Heel and Arch Support, they responded with a simple, Because it works! It is truly an honor to provide our soldiers with relief from plantar fasciitis and heel pain. This will allow them to improve on the already outstanding job that they perform everyday. When our soldiers do experience heel pain the Navy Doctors turn to Footworks.net for foot care solutions. We have so much faith in our Ultimate Heel and Arch Support that we guarantee it for 30 days for your total satisfaction! What this guarantee means is, if you do not have any pain relief after 30 days of use, or if you are not totally satisfied in every way, simple return the product for a total refund of the product price (shipping cost is not refundable). Its that simple! Footworks.net is dedicated to our brave men and women who defend us daily! We will donate a portion of each sale to the Wounded Warrior Project. Please consider your own private donation by visiting their official site here. They have helped us in more ways than you can imagine, now it is our turn to help them!